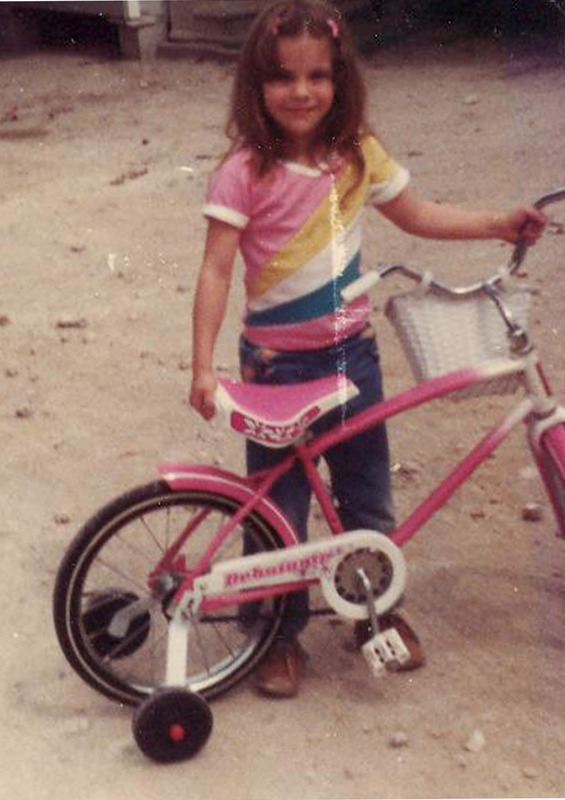 There once was a time, circa 1980 something, that I could actually ride a bike. It was a cute bike with the works. Pink-check! Cute basket with flowers-check! Neon things for the spokes-check! But what is a girl to do when she has outgrown her pink bike days and is not quite so coordinated as she used to be? She can just remember the good times by wearing the Two Wheeler Shirtdress from Anthropologie. 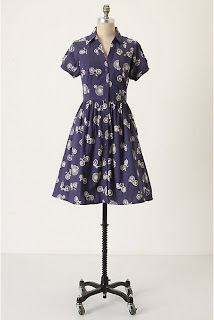 When this perfect shirtdress popped up as a new arrival on their website I knew I had to have it. In keeping up with the blog topic of the day, I ran across this photo on flickr that looks like the more grown up version of my pink bike! It even has the same basket! For all of you Friends fans, isn't this bike so Phoebe?! This one was just too beautiful not to share! 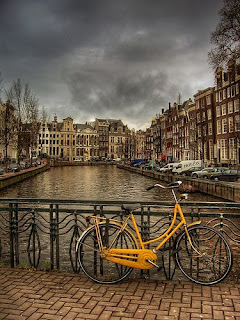 With scenery like that who wouldn't want to lounge around town on a bike! This one is too fun! This lady is hauling some major bootie! I just imagine her shoes enventually flying off due to the sheer speed she is traveling! 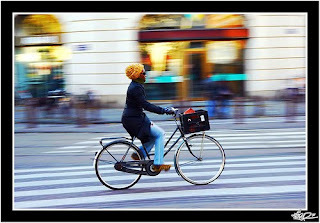 The last three bicycle photos are courtesy of flickr. Awww, what a cutey pie! I think that picture of you and your bike is really cool! Intense Guy-Thank you! 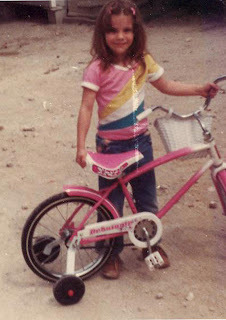 :) I loved that bike! Cute! I haven't been on a bike for years, but now I sort of want to! That second to last picture is amazing. I wish I were there now. 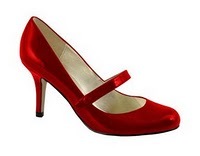 And I'm not a big shoe (or clothes or bags) girl, but I LOVE those shoes. You'd totally make a statement with those no matter what you wear. TheFrogBag-The last time I got on a bike I was so scared I was going to fall off. Then I was so proud when I didn't. Unfortunately as I was walking the bike back I slipped and fell! LOL! I hope you have better luck than I did if you get back on a bike! cabin+cub-Mine had the plastic flowers too! How funny! It sounds like the same model as yours. Being transported into that beautiful scenery would be great right about now! It's just a tiny bit prettier than the grand city of Houston! LOL! Such a cute little kiddie pic!! Love the post and that dress from Anthro will look so great with your red Steve Maddens. The red will really give the outfit a pop of color to complete the look!